A magnificent piece of classic English furniture. 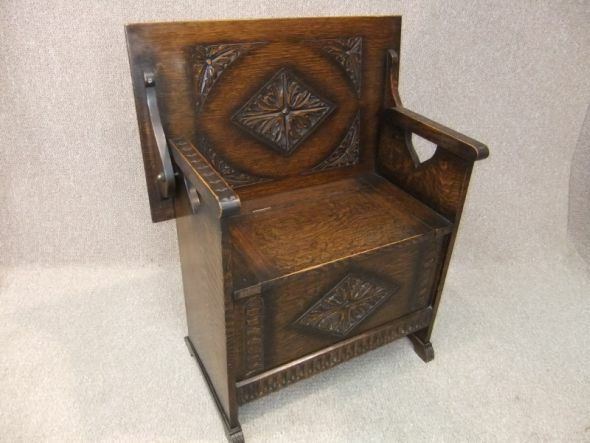 This beautiful early 1920s solid oak monks bench features a decorative carving to top, seat back, and front panels. The bench has a large lift up seat with useful storage area below. The item is in lovely condition for its age, and is in a deep golden oak colour. With its small size, this 1920s oak Monks bench is ideal for any hallway or porch. A useful piece of furniture for boots, shoes, bags etc.